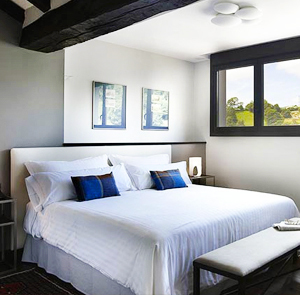 Iriarte Jauregia is located twenty-five minutes south of San Sebastián — close enough for guests to explore the vibrant city, but sufficiently removed to provide a deeply relaxing pastoral experience in the lush countryside of Gipuzkoa, a small, verdant Basque province. 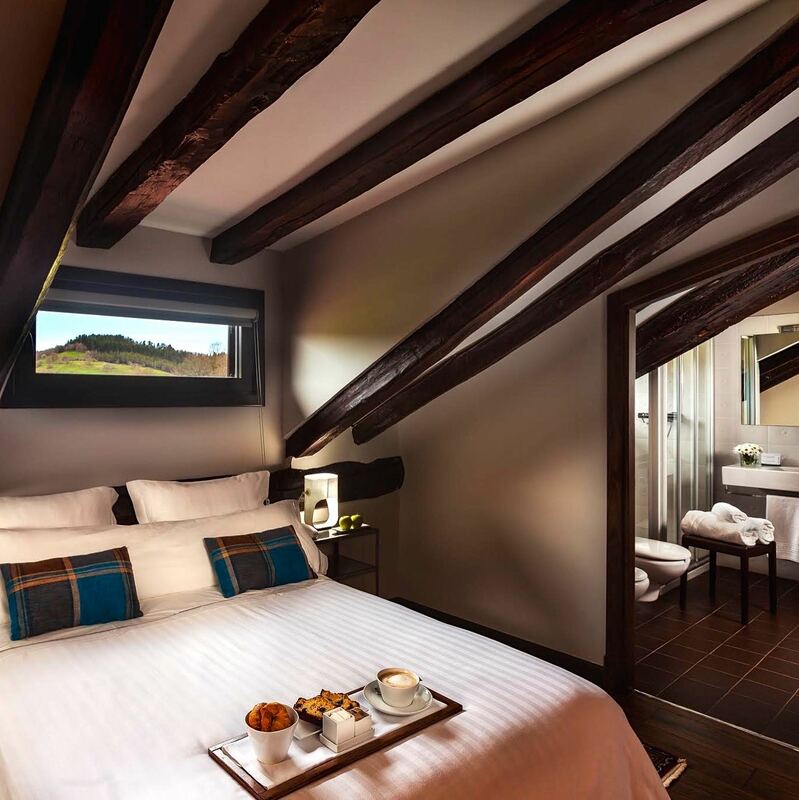 Housed in a fully renovated 17th-century palace, with the trappings of a modern boutique hotel carefully tucked away behind the original structure, Iriarte Jauregia feels eerily integrated with its breathtaking environment. Much of the original stonework is still intact, painstakingly maintained and exposed in segments throughout the nineteen guest rooms. Rough-hewn, darkly stained wooden ceiling beams complement the soothing creams and beiges of the walls and ceilings, and provide a unique vaulted effect, like a miniature cathedral. 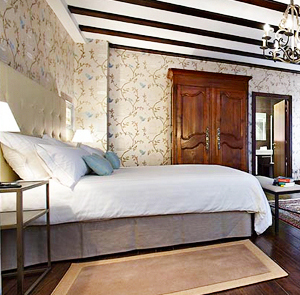 Antique furniture balances the de rigueur comforts of king-size beds and flatscreen televisions, while the bathrooms blend stonework, marble, tile and glass. 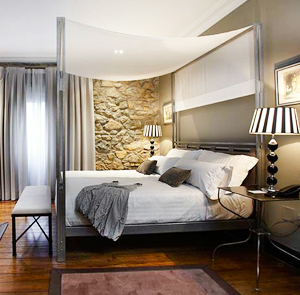 Each room offers a commanding view of the palace gardens and the farmhouses nestled among the surrounding hills and forests. Breakfast is included with the room, and the hotel’s culinary offerings don’t stop there — in the area around San Sebastián, the city with the world’s greatest density of Michelin stars, a hotel can’t get by without something a bit special. In this case it’s Bailara, helmed by chef Enrique Fleischmann, who’s bringing his hard-won, high-end skills to bear on everything from the inventive dinner menu on down to the quick lunches at the hotel’s snack bar. You’ll eat well in this town, no question — and it starts right here in the hotel.